This product from Chess Baron: You may have noticed that we dont offer many metal sets. 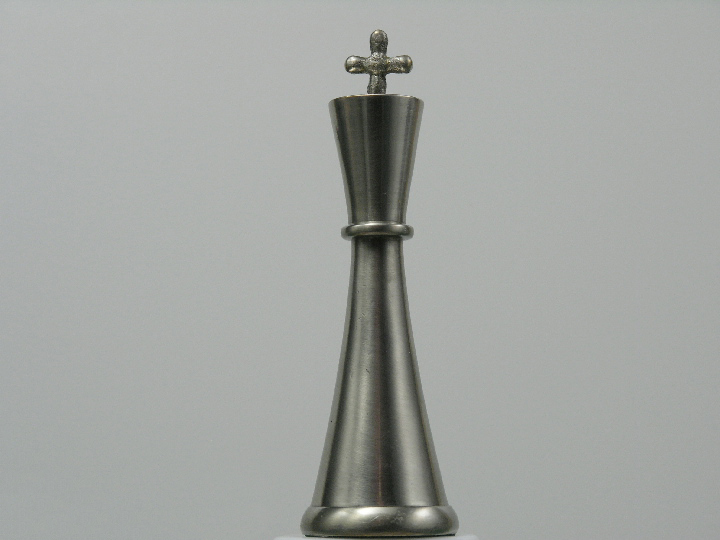 This is because we have scoured the world in an attempt to stand out in a range that is not just large, but unique and the best available. 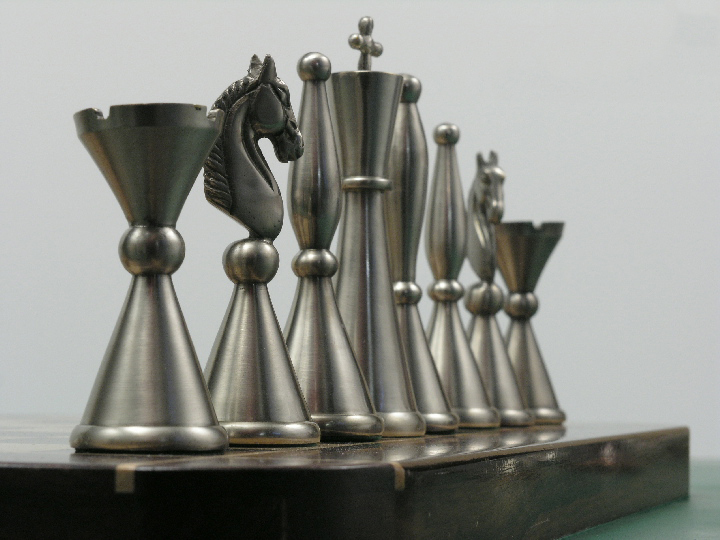 This pewter finished set is heavy and yet remarkably detailed - a good example of this policy. 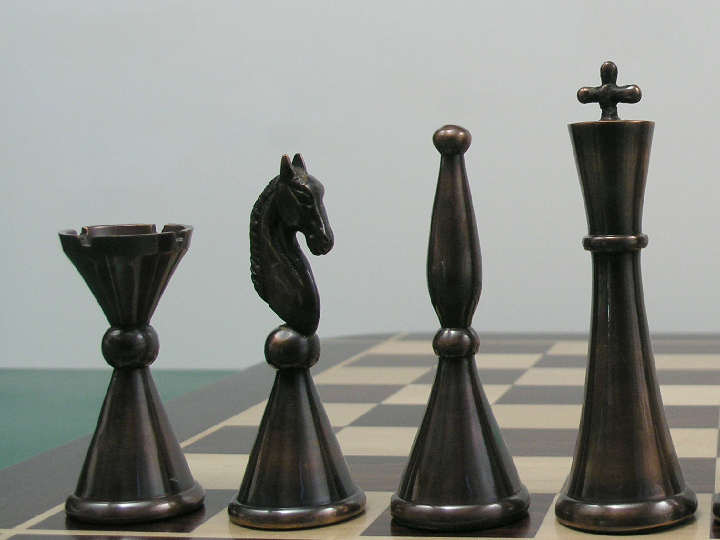 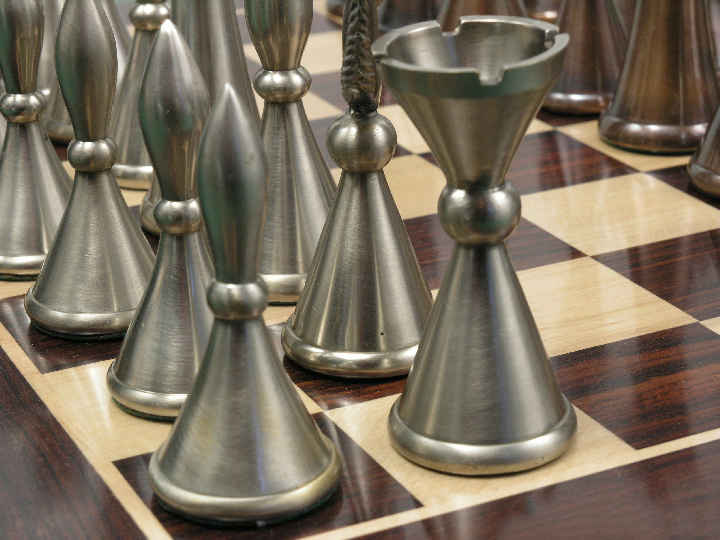 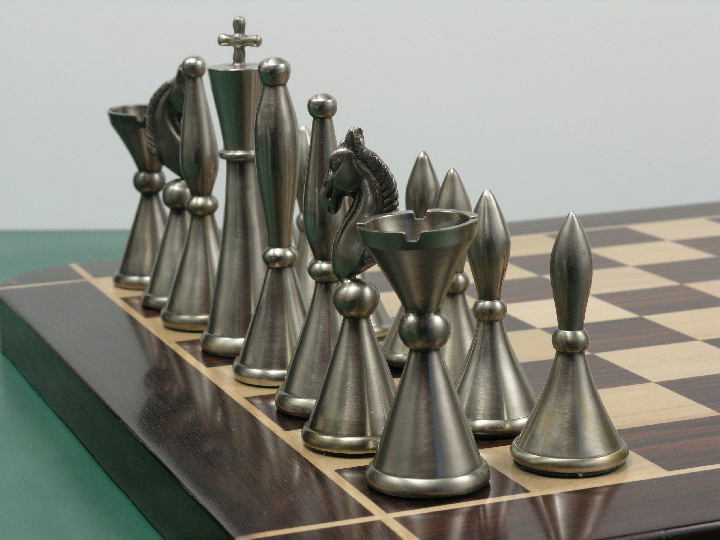 A luxury steel and copper set with the dark side finished in pewter - a chess set with distinction that has many uses - playing chess or using offensively for burglars. 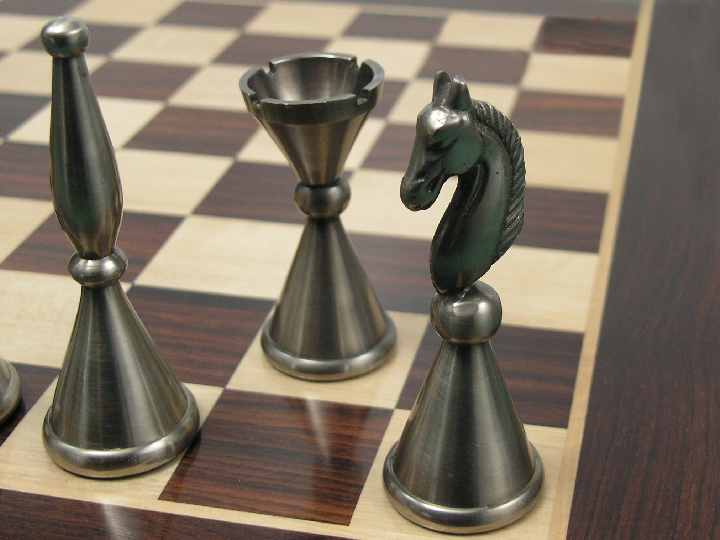 Delightful chess playing with elegance, and this set says elegance in every way. 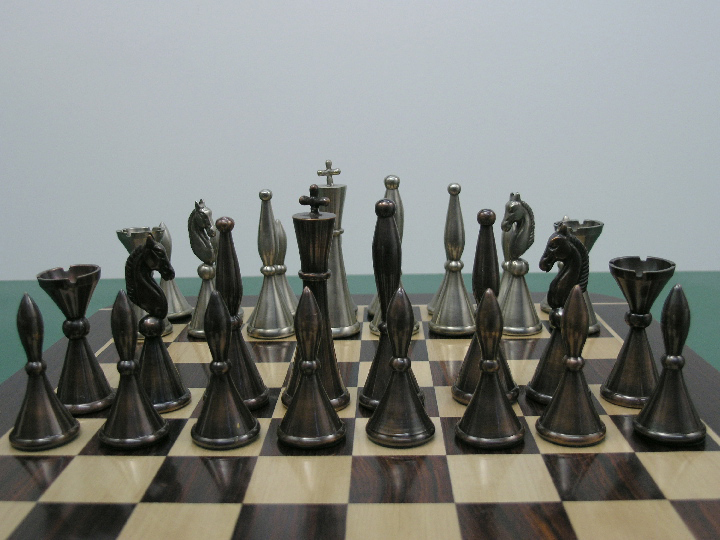 It is well priced for the level of luxury afforded, and a set to be proud of. 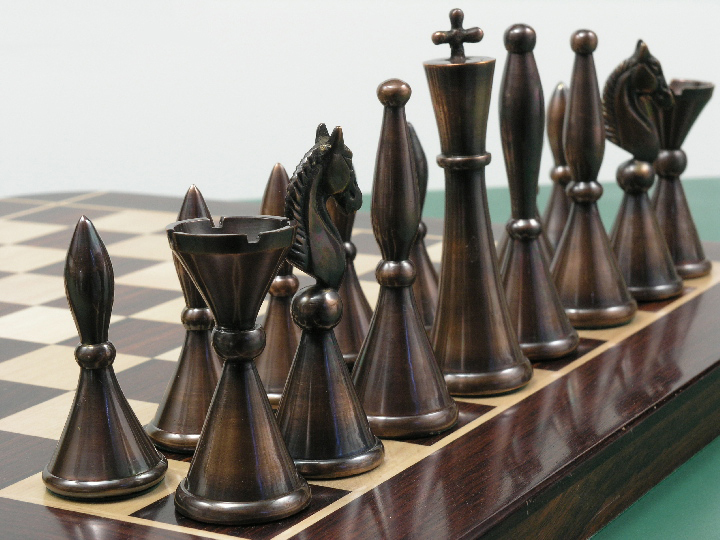 Optionally comes with a very beautiful recommended luxury chess case. 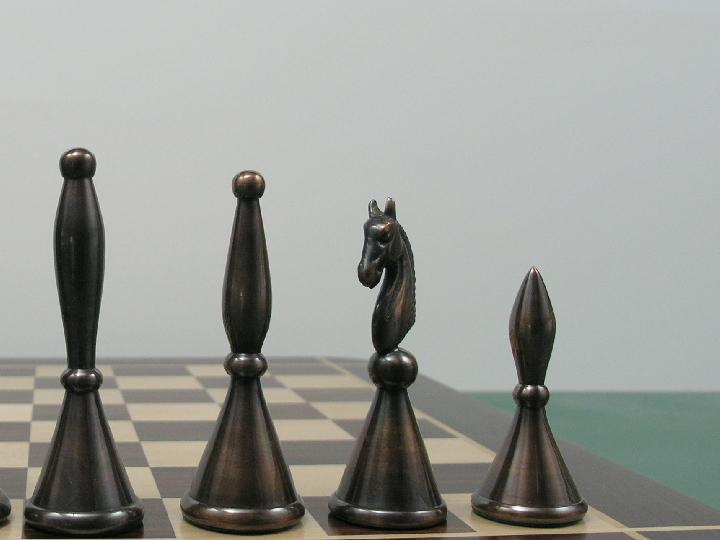 The board should be 1.5 inch or 1.75 inch squares.